This is a small selection of exclusive Porsche 911 cherished number plates available for sale on our searchable database. We believe the iconic Porsche 911 should always be dressed with an exclusive personalised number plate with the aim of making sure everyone knows it is a 911. We specialise in plates for 911’s in the UK and we have invested in some very exclusive dateless 911 plates over many years. You have a car. And you take proper car of it. But it is not performing as it should. You have decorated your car properly with a private number plate and other things. But, what you are worried about is the performance of the car. To put it in more details, you are not happy about its carbon footprint. You do not like the way it emits the gases. So, what you want is to get rid of this problem. 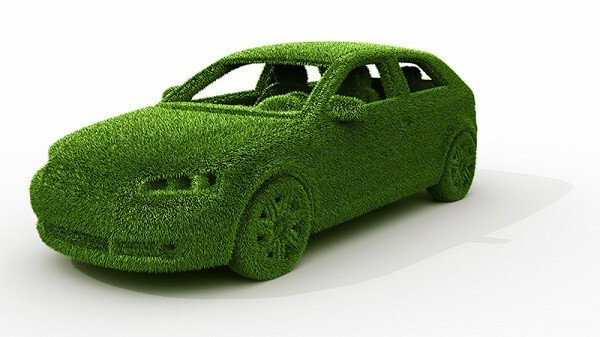 You want to make your car greener. But is it possible? Can you really make a car greener, that is, without painting it? Of course you can. And it is essential that you do so. That’s because you need to ensure that your car is not causing any harm to the environment while you are riding it. Here are a few tips, which can help you reduce the carbon footprints of your car and make it a greener one, or a vehicle that’s more environmentally friendly. You need to do a few things on a regular basis. And one of the most important one among them is surely the tune up of your car. The tune ups as well as the regular maintenance will help the car in multiple ways. It will burn less amount of fuel. Hence, you will be saving a lot on fuel price. Besides, the car will have less issues with it. So, it won’t cost you a lot to get the car checked by mechanics often. Besides, the car will also pollute less. Thus, the regular maintenance will ensure that your car is environment-friendly and greener. The AC gives you great comfort while driving the car. They make the car ride much better. So, it is essential for you to have an AC in your car. But how often do you switch the AC on? Do you use it even when you are going for a short ride? Remember, switching on the AC while driving the car is not a green practice. One of the best ways is to keep the windows open. It will ensure that you can enjoy the fresh air. Besides, you can also use a solar-powered fan in your vehicle. A reusable air filter can be a great addition to the vehicle as well. These are among the best steps to help you reduce carbon footprint. Fuel economy of the car lies central to your efforts of making your vehicle perform in an environmentally friendly manner. And if you really want to do that, you have to drive it in a smart manner. 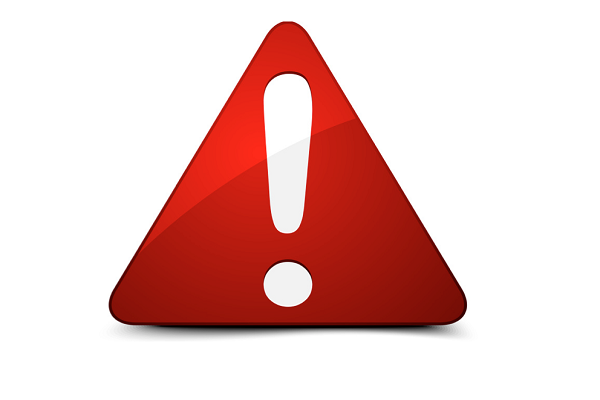 Remember, sudden starts and stops can damage the engine and is also not a green practice. Besides, you need to ensure that the car is moving within the speed limit. Excessive speeding can have a negative impact on your efforts to make the car function in a green way. Using the cruise control features of your car is a great way towards making it eco-friendlier. Remember, having a green car with little carbon footprint isn’t an easy thing to achieve. You need to perform a lot of things to ensure that your car is eco-friendly in nature. You should also lighten the load of the car by removing all the unnecessary items from different parts of the vehicle. Carrying those makes the car heavier and hence, more fuel is necessary to run it. Remove all the junk out of the trunk as well. You should ensure that the only things that you should carry are the emergency things, which might include the extra tire, the first-aid kit, and so on. A green car surely hits lightly on your pocket. This is because it increases the mileage to a great extent. So, you can decorate it with personalised number plates and other stuff if you want. But you need to focus on making it greener. In a world, which is growing increasing conscious about the environment, it is important that your car does not impact the green in a negative way. Cars are meant to offer you a perfect travel. They help in commuting. And along with that, they also provide you with excellent comfort while you are on the go. For this, many of the cars are quite large in size. They consist of every necessary thing that you might need while you are riding the car. But many of these are quite expensive as well. 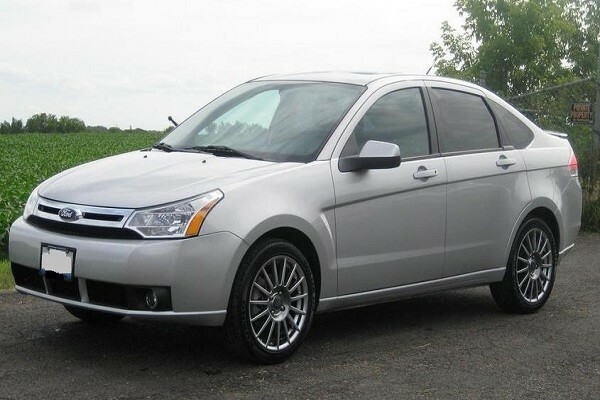 So, what can a person with a small or medium budget do if he wants to buy a car? He also has a number of options before him. One of the best is surely to go for a small car. There are a few models of cars, which are extremely tiny in size. And they come at a reasonable price as well. But they also don’t deny you the comfort that you so deserve while driving or riding the car. You can also add a personalised number plate to it to give a personal touch to the car. Here is a quick look at some of the smallest cars of the world. If you are speaking about small cars, there’s no way you can ignore the electrical vehicles. 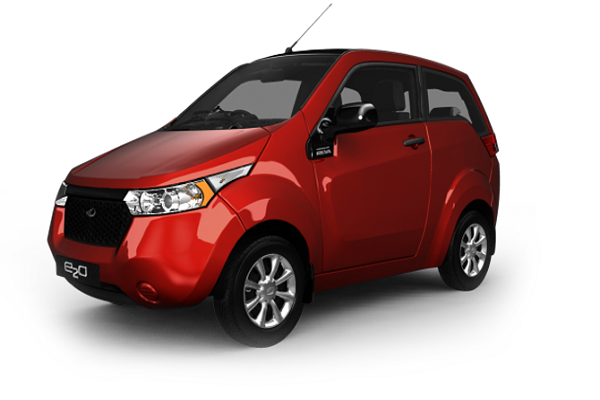 Among the most amazingly cute and tiny electric cars is the Mahindra e2o. 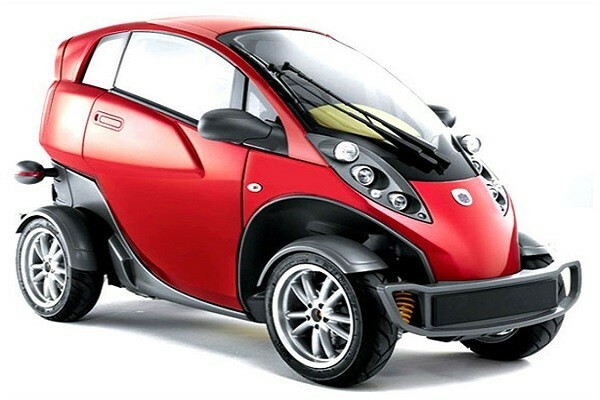 Manufactured by Mahindra Reva Electric Vehicles Private Limited, this vehicle can be regarded as one of the most significant successors of REVAi or G-Wiz, which was one of the most coveted electric vehicles, which came in such a small size. Mahindra e2o has three doors, including a hatchback. It even offers automatic transmission. Besides, the riders can also switch on the air conditioning to keep the interior comfortable. BMW is one of the major automobile manufacturing companies in the world. It has an amazing fleet that consists of both extremely expensive vehicles to moderate ones. But the BMW Isetta stands out in that list, not because of its price, but due to the small size. 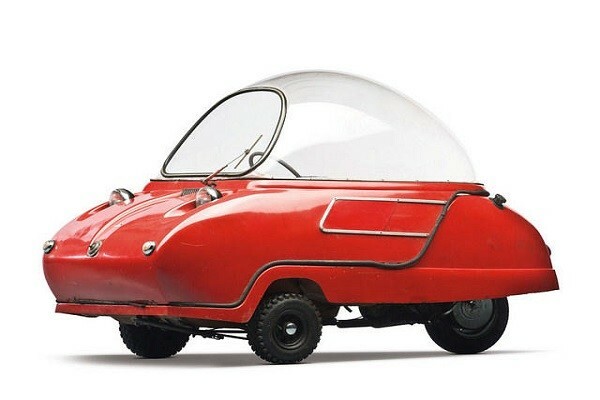 Also known as the Bubble Car due to its shape, this vehicle was manufactured vehemently during the 1950s and the 1960s. However, the popularity of the vehicle has remained the same over the decades. 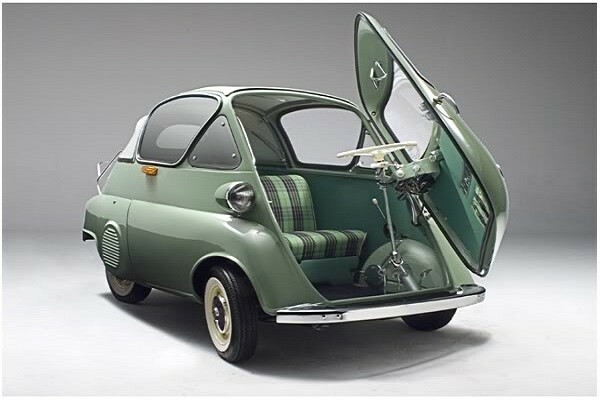 A large number of models of BMW Isetta has been introduced. 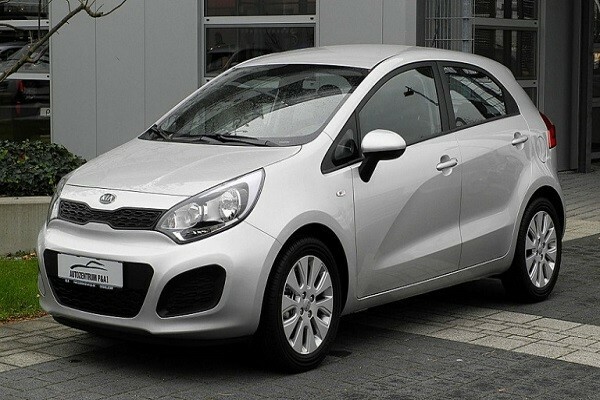 These small cars are among the most popular vehicles of recent times. Just think of a car that’s small, comfortable and seats just two. And yet, when you look at it, you feel almost immediately that you need to own it. That’s Peel for you. The car is just 54 inches in length and 41 inches in width – that’s really a minute one if you look at it from the perspective of the ordinary vehicles. It’s also quite light, weighing less than 300 pounds. Hence, the car is quite eco-friendly as well. However, this car is not likely to be manufactured at a large scale. So, you can expect that only a few will be running on the roads over time. 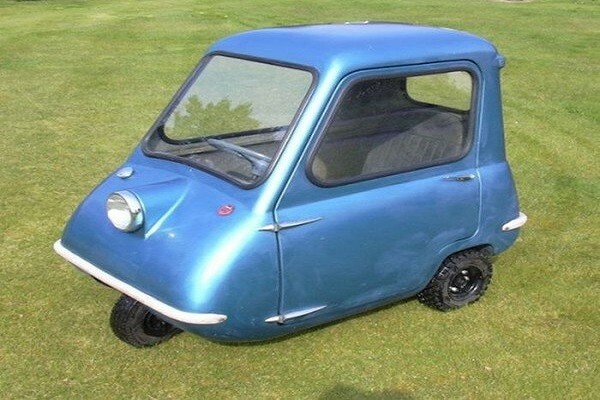 This, in fact, is regarded as the smallest of all the cars in the world ever produced. Peel was manufactured a few decades back. However, an electric version is being made available recently. When it comes to manufacturing electric cars, France seems to be one of the most popular destinations. The Lumeneo Smera, manufactured in the country, is surely one of the most amazing cars. It comes as an electric model and is among the most craved for vehicles when you consider the smallest cars in the world. 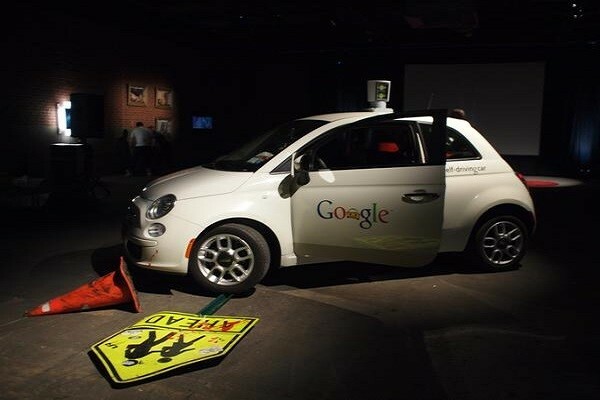 It is a two-seater tilting car and offers the best possible experience when you are driving or riding it. Although they might look tiny, you can enjoy a number of benefits if you own a small car. It is easy to park. In fact, you can park it even at spaces, which might not seem enough to accommodate an ordinary vehicle. Besides, in many cases, you don’t even have to compromise on the comfort. Many of these small cars are almost as luxurious as their larger counterparts. Yet, they are known to be more eco-friendly than those. Moreover, many of them are also great to look at. If you want to make them more unique, you can just add a private number plate to it and thus, personalize it as much as possible. So, you are planning to buy a car. And you want to go for something that’s going to give you a good way to invest some money as well. So, what type of car are you planning to buy? If you are really looking for investment and something more beyond transport and luxury, then there is a grand option for you. Why don’t you go for an antique car? If you don’t have much of an issue with the budget, you can’t miss out on such a car. And if you go for it, you can have answers for a number of things – it might satiate your hobby, because lots of people sport the hobby of owning classic cars. And it will also help you purchase something that can work as an investment. But buying a classic car or an antique car isn’t easy. There are quite a few rules that you need to be aware of. And these rules should be followed religiously. Else, you might end up making a loss in your bid to invest in a great classic car. So, what are the rules that you need to know if you want to buy a classic car? To start with, this is the first thing that you must do before you go for a classic car. 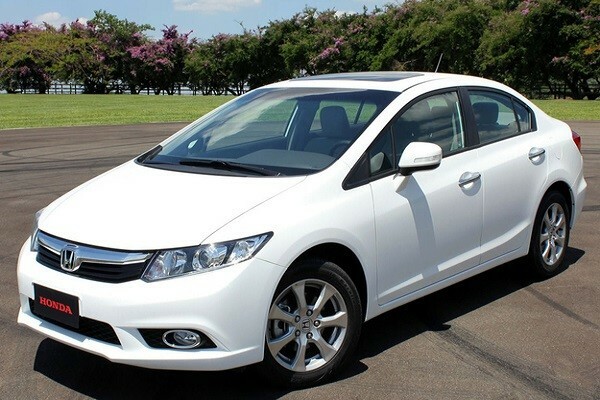 When you are looking for such a car, don’t confuse the situation with something that’s as simple as buying a new car. In that case also you will need some research. But the necessity for the same is much more when you are going for an antique car. If you do not put in adequate research before purchasing a classic car, you might end up losing a good amount instead of investing it for the future. If you do not have enough experience, you might not be able to make from one antique car to another. That’s because all of them are old and it’s quite hard to distinguish to find out which one offers maximum return on your investments. So, you should do a proper research before deciding the car that you want to purchase. You can also take professional help, if necessary. It will come in handy to ensure that you are not making a mistake while purchasing the classic car. You are going for an old car. So, how much are you spending on it? Remember, you might have to go for some rebuilding. And be on your toes, it might cost you a good amount. So, it is essential that even before you buy the car, while you are still in the planning stage, take into account the expenses necessary to upkeep the vehicle. There’s no reason why you should buy a car whose renovation would cost you a mammoth amount, almost as much with which you can purchase a new vehicle. What is the model of the car that you are purchasing? Are all its parts readily available? 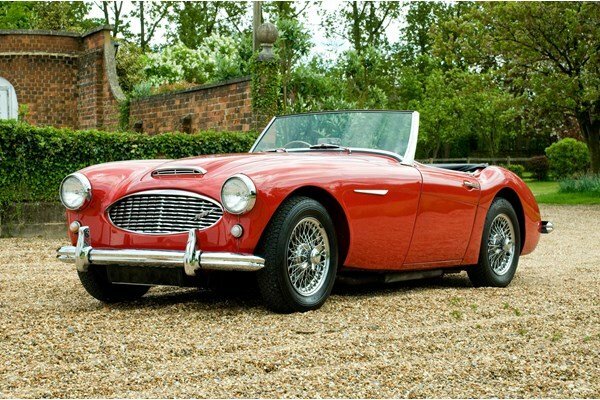 These are some of the most pertinent questions to ask when you are going for a classic car. Remember, a classic car is an old vehicle. You need to maintain it properly. And while doing so, in many cases you will find that the company has stalled the manufacturing of this car long back. So, if any of the parts of the car gets damaged, it might be quite difficult to find a proper replacement for it. As a result, the performance of the car is sure to be negatively impacted to a great extent. Hence, it is advisable that you ensure whether the classic car that you are purchasing has all the parts available in the market readily enough. 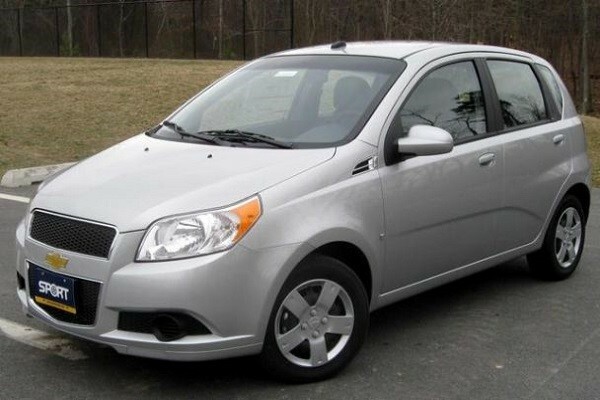 Otherwise, you might find the resale value of the car go down significantly. When you are going for a classic car for yourself, surely you have a proper plan behind it. In addition to owning a car, you surely want to invest. But it’s better not to make a few mistakes that might undermine the resale value of your car. So, you should follow these easy steps to ensure that you get the most out of the resale of your classic car. Have you ever thought what the most important part of your car is? The engine? The steering wheel? The car body? Yes, almost all of these are important. But when it comes to safety, the wheels have a major role to play. In fact, your vehicle remains connected to the ground through the wheels and the tires only. So, you need to ensure that they are in an amazing condition – always. Else, if even one of the tire malfunctions, you might end up meeting with a horrendous accident. So, it is always important to keep the tires of your vehicle in a good condition. But it’s not as easy as it seems. 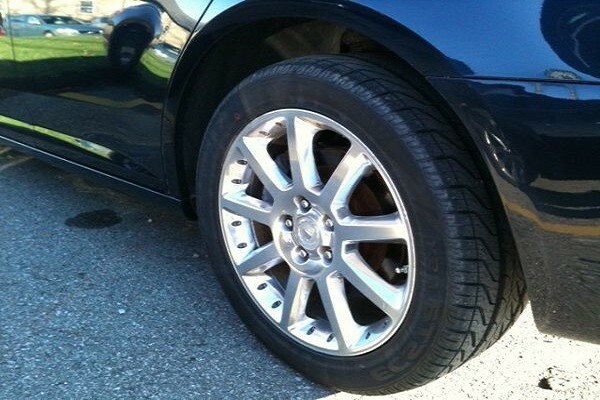 You need to take a few steps to ensure that the tire of your vehicle is in a good condition. So, here are the things that you can try to ensure that your tire functions properly. Do you keep the tires of your car properly inflated? It’s something that is highly essential. How often do you check whether the tire has enough air inside or not? It is essential that you make it a habit of checking the tyre pressure now and then. At least once a month is extremely necessary. And for that, it is important that you utilize the tire pressure monitoring systems (TPMS). And if you find that the tyre pressure is not good enough, get the tyres pumped at the gas station. If the tyre of your car remains properly inflated, it is likely to last longer. When you take your car out, you can’t always know what kind of road you are driving on. But when you return home, you find the tyres covered with dirt and dust. It’s quite natural. But if you keep the tyres covered in those garbage and dust, the surface might face corrosion. So, to increase the lifespan of the tyres of your car, you need to keep them clean. Wash the tyres that are being used. If you are carrying any extra tyre with you, make sure it is properly covered. It will help to restore the capabilities of the tires for a longer time. The wheel alignment plays a major role in ensuring that the tyre of your vehicle lasts for a long time. If the alignment isn’t good enough, it is likely to result in different types of pressures on various points of the vehicle. This is surely going to have a major impact on the durability of the tyre. So, you should keep an eye on the alignment to ensure it does not affect the lifespan of the tyres. Safe driving is one of the most important things that you need to do if you are really concerned about the tyres of your vehicle. The roads are not always of the best conditions. You will find potholes and a lot of roads that are quite rough. In fact, you might even find yourself driving on a road, which is not at all suitable for the task. And as your car hits such a road, the tyres are sure to get damaged. And the effect is increased if you drive the vehicle recklessly. In fact, a bit of careful driving can help to increase the longevity of the tyres of your car to a great extent. A regular check of the tyre is extremely important when you want to keep your car tyres in the best of conditions. The prices of the car tyres are rising with every passing day. They are almost as expensive as most of the other parts of a vehicle. So, it is quite essential that you keep the tyre in a proper condition. If it runs for a longer time, it will surely help you save money. Top 5 Weirdest Cars of All Time!!! 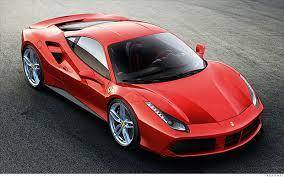 Car designing is something that keeps people waiting with baited breath – especially the car lovers. This has happened the same way over the years. And it is likely to continue. Over the years, some amazing cars have been designed. These cars not only offer the required coziness or comfort, but also add style to the rider. Besides, speed is another thing that many of these cars can boast of. However, not all cars that are manufactured are always great to look at. The comfort quotient might continue to be there, but the vehicle looked somewhat strange and queer. And if you could any of these, personalizing them with private number plates would surely give their look a boost. Here’s a quick look at some of the most bizarre cars ever manufactured. A vehicle looking like an egg – this concept is not new anymore. But once it was. And when the 1942 Oeuf electrique was introduced, it took the world by storm. The car’s name itself means electric egg. It could be termed as a green one – because it used battery instead of gasoline to run, although that was pretty long ago. And electric cars weren’t as cool back then as today. 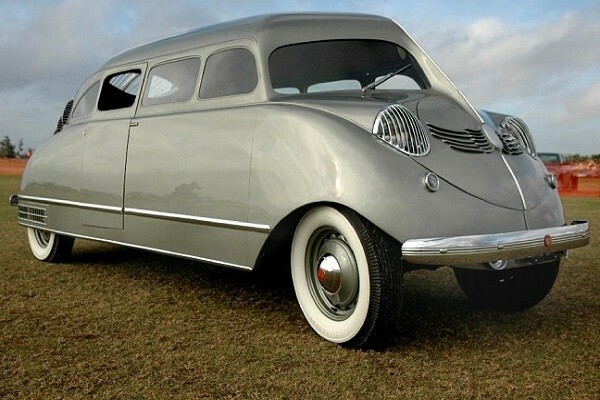 This car was designed by the French industrial designer Paul Arzens. He was a painter in earlier life and also designed railway locomotives. 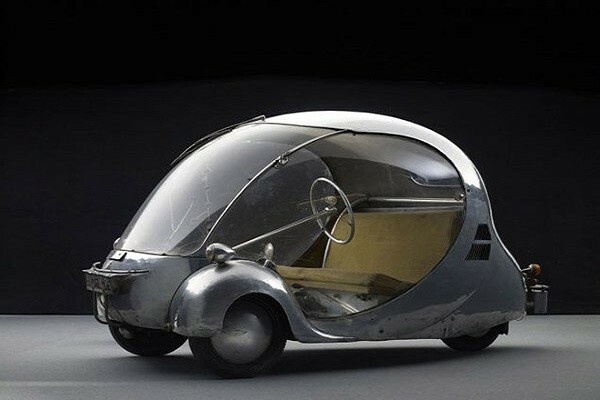 The car that Arzens designed had the appearance of a bubble and was made from hand-formed aluminium and cured Plexiglass. Imagine this: an aircraft designer who is quite deft at his work suddenly had to move towards designing automobiles. The answer lies in the 1936 Stout Scarab. The vehicles has a touch of the aircraft design as well. Designed by erstwhile aircraft designer William Bushnell Stout, this vehicle integrates both luxury and leisure. It is made in such a way that the vehicle is a perfect diner car. However, it is extremely expensive. So, this car never became quite popular. And less than 10 vehicles of this model were manufactured. However, its bizarre appearance still intrigues the automobile lovers. Speaking of the similarity between designs of aircrafts and vehicles? You just can’t leave Firebirds out. 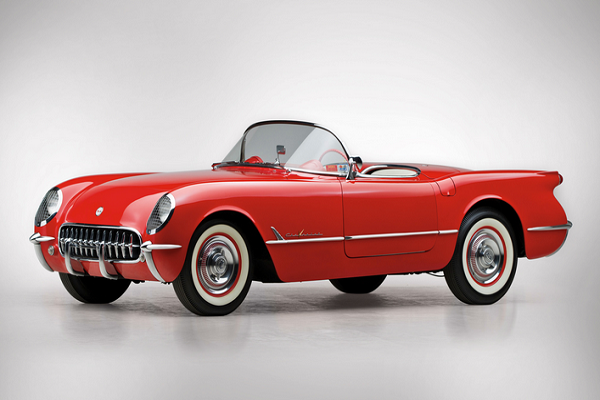 Primarily prototype cars, these vehicles were designed by Harley Earl and were engineered by General Motors. The vehicles were introduced in the 1953, 1956 and 1959 Motorama auto shows. Four versions of Firebirds were introduced. But it’s the Firebird I, which was more close to an aircraft. It was a jet airplane put on wheels and offers immense comfort to the riders. These cars were never meant for production, but to showcase design and technology. However, the design of this car is still one of the most popular ones among the car lovers. What if a car’s exterior shifts according to the vehicle’s aerodynamic requirements at different times? But that’s what the 2001 BMW GINA Light Visionary Model offers. 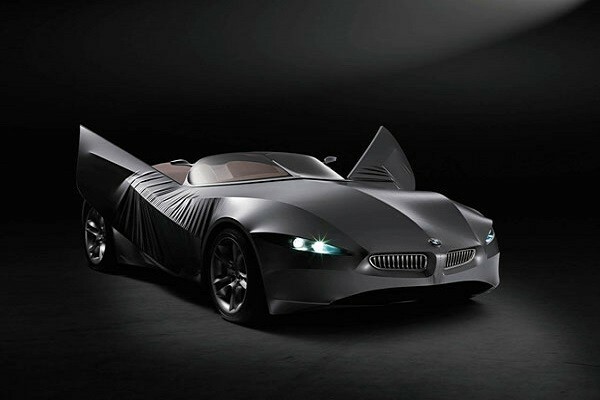 It was conceptualized by BMW’s Design Director Chris Bangle. According to him, this car allowed him as well as his team to “challenge existing principles and conventional processes”. The exterior of the car is made from polyurethane-coated spandex. This car has been regarded as one of the best offered by BMW till date and it is expected to remain high on demand of the car lovers in the years to come as well. Cars don’t have fins, do they? Yes, of course, some of the cars don it. 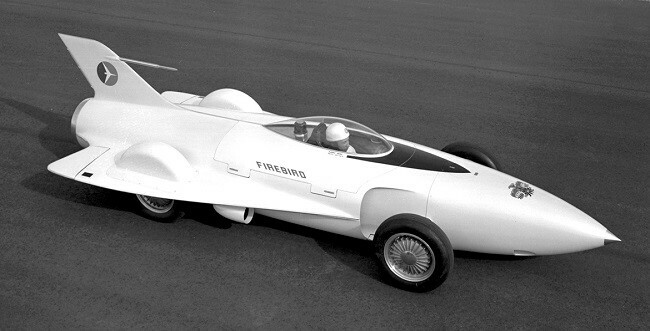 And the first car to have fins was the 1951 GM Le Sabre. Besides, it also had a wraparound windshield. Soon, these design elements would gain ground in the American automobile industry. 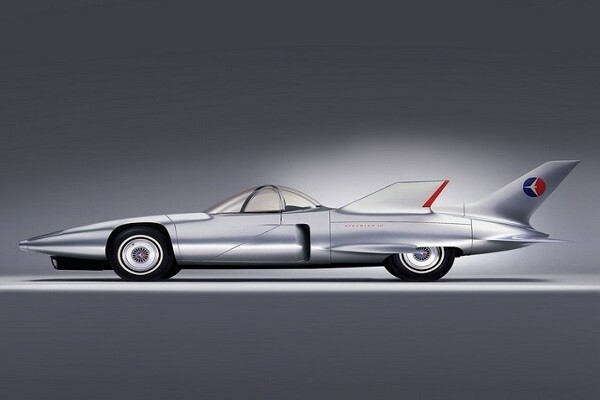 So, in a way, GM Le Sabre was a pioneer in terms of designing the automobile. There are more to this car. It can with a moisture detector. So, if there is any chance of rainfall, the convertible car’s top would automatically get raised, thus shielding the riders. The car lovers are always on the lookout for vehicles that don new designs and showcase technologies, which had not been used till date. And if they can get any of these vehicles, they can give them a better look by using personalised number plates on them as well.